With price hikes being announced by two major energy suppliers, with the other four companies in the "big six" expected to announce rises soon, many people are wondering how to get cheaper gas and electricity bills. Even energy minister Chris Huhne MP says customers should do more to bring down the cost of their energy bills - suggesting price comparison websites as a great place to start. 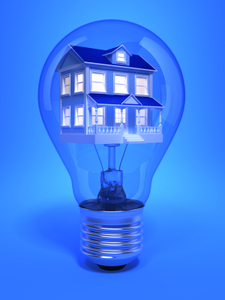 It's a good idea to compare gas and electricity prices to ensure you are getting the cheapest deal you can. Combining gas and electricity tariffs can help save money as there are often discounts for dual fuel packages. Signing up for paperless billing could earn you money off too. At home, it's worth making sure you unplug and switch off chargers and electrical appliances when they are not in use. Insulating and insuring your boiler can be a good way to save cash, whilst installing energy-saving lightbulbs will cut replacement costs and usage bills. Turning down the thermostat can save hundreds of pounds each year, as can being careful about what food you put into a fridge or freezer - the warmer the food, the more energy needed to chill it.